Back in the day I absolutely loved Chili's and one of my favorite things on the menu (besides chicken crispers) were the Fajita Quesadillas. It's been years since I've last eaten at Chili's but I still crave the Fajita Quesadillas. I decided to make them at home and let me tell ya...they were even better than the ones I had at the restaurant! Not too bad for a low cal/low fat version! They were a hit! In a large sauce pan over medium heat cook chicken and veggies until chicken is no longer pink. 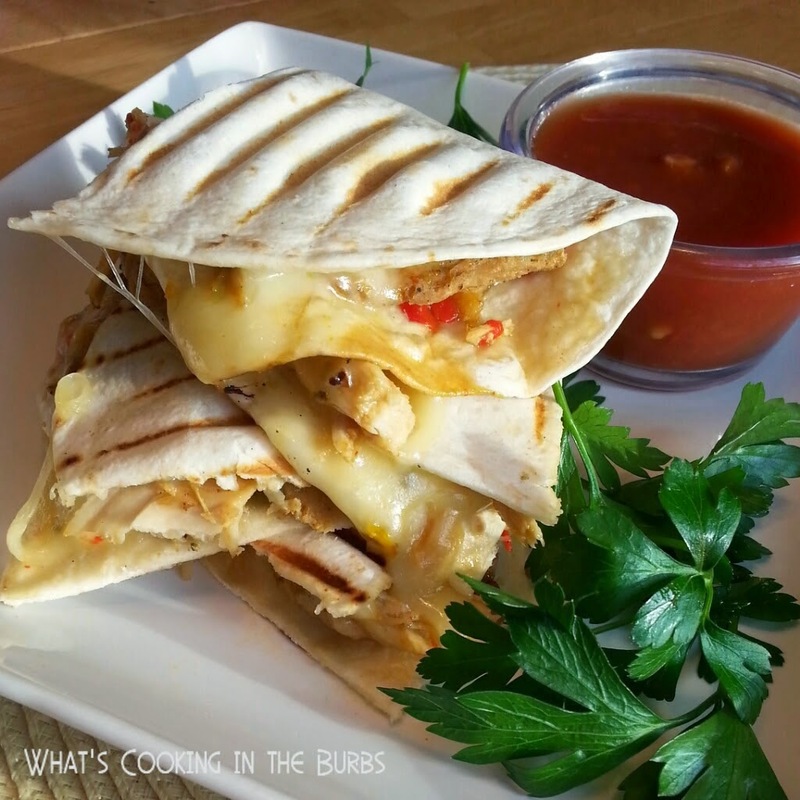 To assemble quesadillas top half of each tortilla with chicken and two slices of cheese. Fold the tortilla over and press down. Lightly spray tortilla with cooking spray and cook in a medium sauce pan (I used my panini press) for about 4 minutes per side or until golden brown. Serve with sour cream and salsa for dipping. Enjoy!